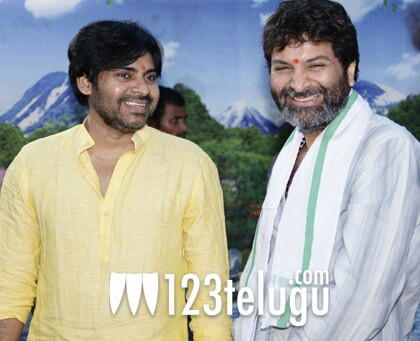 Power Star Pawan Kalyan’s new movie with director Trivikram has started rolling today. Shooting has commenced in a private hotel in Hyderabad and the unit members are getting themselves ready for the long shoot ahead. BVSN Prasad is going to produce this film in association with Reliance Entertainments. Devi Sri is composing the music. Samantha is the heroine in this movie. As per the reports being heard, Pawan will be sporting a youthful new look for this movie and the story will be a family entertainer. Expectations are going to be naturally high about the movie as Pawan and Trivikram teamed up quite successfully for ‘Jalsa’. Let us wish the team good luck.